I’ve been baking cakes! I made this one last weekend for a friend’s birthday and as I was putting the final strawberry on top, it dawned on me that I totally should have made this into a blog post. But I forgot. It happens. It was delicious though! I used the a yellow cake recipe from Gourmet (divided the batter evenly into two nine inch cake pans) and then after the cakes cooled, I spread whipped ream and strawberries in between the layers and spread vanilla buttercream on top. Add sprinkles and a fancy cut strawberry and done! 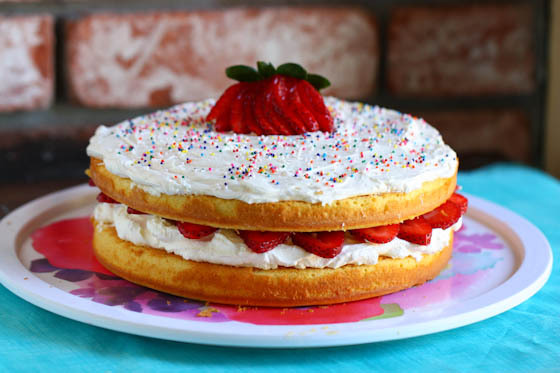 You have your very own strawberry sprinkle cake. Perfect for parties because it’s just so darn pretty. I’ve been really enjoying the process in becoming a yoga teacher! Many of you have asked for teacher training updates and I’m sorry it’s taken me this long to respond. Truthfully, it’s been….fantastic. I’ve done about 70 hours of my 200 hour program and even though at times I feel like yoga is totally consuming my life, the process is so worth it. I’m doing my training through California Power Yoga and after I’m certified, I’d like to teach power yoga classes part-time. I’d also eventually like to dive into power yoga podcasts on this blog! The training is very much outside of my comfort zone (I hate speaking in front of groups! ), but I’m learning so much about myself as I go. It’s truly wonderful. As part of my training, I’ve not only been practicing six days a week (most at the studio and some at home), but it’s about time for me to dive out in the community (eek!) to fulfill my community service hours. The training program I’m part of is very service orientated and I love that aspect. I made this pizza two days ago. I used the pizza dough recipe from Artisan Pizza and Flatbread in Five Minutes a Day (love! you don’t even need to knead the dough!) and then topped it with Trader Joe’s barbecue sauce, chopped rotisserie chicken that I drenched in more barbecue sauce, slices of fresh buffalo mozzarella and caramelized red onions. When it came out of the oven I sprinkled cilantro over the whole thing and called it a night. 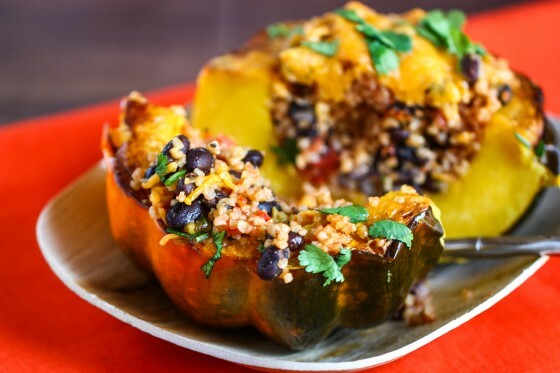 Or make this stuffed squash instead. It’s cheap and vegetarian….but very, very tasty. hmmmm the cake looks awesome! I love hearing about your teacher training experience. I’m very excited for you! i wanted to become yoga certified in college, but it was so expensive and i was broke! it must be a great experience. i would be afraid of speaking in front of people too, but just imagine everyone is in their underwear. Jenna, this post had more life and personality than all your other posts from the past couple months combined. Please give us more like this! What you’re doing in your daily life is so much more interesting than “forced” and sometimes bland recipes for the sake of the blog. I think it would be wonderful if your blog moved a little bit back towards a journal format. You have a lot to offer and it seems like you’ve been hiding the “real you” lately. I’m sorry you feel that way, but this blog is a food blog and I do focus on recipes. I don’t have an intention of going back to journal style blogging, but there are tons of awesome ones out there that are more in that format if that’s what you like reading! I do appreciate your feedback though—but I’m going to stick with recipes and the occasional post like one because that’s what I’m all about here. I think many of your long-time readers feel this way (more so than newer ones, I surmise). 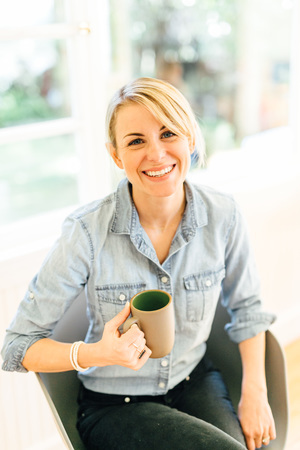 Many of us have been following you since the birth of your blog and have gotten to know you as a person and not just a recipe maker (which is more recent). I think many of us miss that aspect of connection because for so long that’s what your blog was about. Of course I support your new direction (it is your blog, of course! ), but, you did make the shift to food-blog without telling your readers of the shift or why. Sure, it was gradual etc…but, perhaps a post on the new runnings of the blog and direction will put a lot of your readers’ minds at rest who are waiting for you to post about your life when it will never come anymore, and they’re simply getting frustrated. Again, this is FINE, but, your readers might like some closure from the past Jenna so they can accept the new one. Just my idea 🙂 Have a fun weekend! Actually, I think Jenna has made it very clear several times the direction of her blog and her focus on cooking/recipe development since last year. She is evolving and taking more of a professional approach. Blogging about yourself can get old and isn’t very fulfilling I would imagine (narcissism, repetitive, etc.). People grow up and change – change is a part of life, get used to it 🙂 Perhaps you might want to ask yourself why you have to know the personal details of someone’s life on the internet vs. real friends you know – and yourself? In all honesty, I barely if ever read these blogs. I like Jenna’s blog more as a food blog b/c the healthy-living-blog approach, is, as you say, repetitive and narcissistic, and I have no relation to these people at all; so, yes, I’ve “gotten used to it” as I’ve never cared. While I appreciate your jump to the rescue, there do seem to be some readers who are expecting Jenna to post about her daily life (or else, why would they still be asking if she’s going to return to such a format?? ); it’s really only ever been clarified through comments in the comment section. She doesn’t need to justify the direction of her blog, it’s her blog. All I was saying is that perhaps some of her readers would like such a clarification since many people do seem to be making these comments, so maybe it isn’t “very clear”. Also, these “healthy living blogs” (of which Jenna is not) wouldn’t be so popular if people didn’t want to know the details of others, friends or not. Hi s! I totally understand where you are coming from (and appreciate you still reading!) but I just want to clarify that when I changed the direction of this blog almost two years ago, I did in fact post my reasons for doing so. You can find those posts back in the archives for August of 2010. I appreciate you as a reader and hope you stick around! People become connected to a blogger, even if they don’t know them. They read about them and their lives and look forward to it because they feel like they’re getting to know them. In a way, the blogger becomes a sort of friend. When that is suddenly missing, then the connection to that blogger is broken. So, it’s understandable that her old readers feel disconnected from her and her blog. K, sorry I brought it up. Can I ask you why? Your shift from posting about your life + recipes to strictly recipes was SO shockingly quick. While some of your recipes are great, your personality is completely lost. I don’t think readers want you to go back to being a “healthy living blogger” by posting all your meals, work outs and goings on, but a little more personality could do your blog a world of good. Right now it gets a little stale and trite to the point where I forget that there’s an actual girl writing the blog. I miss Jenna, the real girl, not the 1950s housewife who pumps out formatted recipes. I’m not writing this to be mean or rude, just honest. I’ve been reading your blog for years and I miss, well, you. I hope you take some of your readers’ suggestions into consideration. 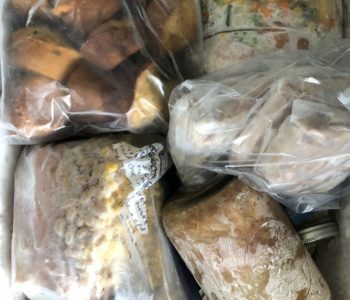 I’ve read for a few years too and rarely read the comments, but was surprised by this post after so many food ones, so I thought I’d peruse it. I think it’s fine to take the blog in the direction you want to (and I like many of your recipes), but I think you come across as really snotty in your response to the original comment. It’s one thing to not take responsibility for the perception that a random individual has about you, but it’s another to actually be emphatic and caring about your readers that have supported you and are the key to your blogging success. If any business I patronized treated a concern I had with that sort of attitude “You don’t like my food???!! Well, this is the direction I’m going in, so why don’t you go down the street to eat?” I’d never go back, I’d be pissed and I might give them a bad review. It seems that you don’t want to be in the healthy living blog sphere, so it seems like you would have changed the name of your blog so that it was clear your blog was about eating. Not living and definitely not running. Lots of bloggers do this when they change their blog direction, but why not you? Just wanted to comment here because I too especially loved this post. I’ve read these comments about the “personality” issues of your blog, and I just wanted to say that you can totally have personality in your writing, even if it is about food, without “getting personal,” as in details about your life you’d rather not share. I hate to say that I skip over most of your posts nowadays because I they just seem to lack the personality that draws me to food blogs–it’s not just for the recipes, it’s about the person behind them. I don’t know why you wouldn’t want to hide that about yourself, or convey some sort of “blog” image that doesn’t reflect the real you. I agree Jenna, steamy kitchen is food blog, as is pioneer woman and they have personalities, so I can click on over there if I don’t like your format. By dissing the people who care to hear about your life, you are upsetting the people who clicked on your page when you were starting out. If you want people to stop bugging you about this, I think its time you stopped running on the fumes of being a former HLB, change the blog name and sever the ties. All awesome things! Thanks for the update on your yoga training. It sounds intense but very well-rounded and fun. I think yoga podcasts would be an awesome thing to have on the blog! The shoes up there. I must know: are they as comfy as they look? What are they/brand? And where might I buy them? They’re Toms! I got them from the Tom’s website—SO comfortable! stylish, comfy, cute, and caring! Love the pretty look of that cake! Are they the herringbone toms?? Love em! They are! I wear them every single day. Love them! Oh, that pizza! Makes my take out pizza from last night look pathetic. I’d also love to hear more about your teacher training program! I’m hoping to sign up for a 200-hour power yoga teacher training in the near future, and I think your perspective would be really interesting. I’m with you that it seems pretty out of my comfort zone, but I know it would be totally worth it in the end. Whenever I’m practicing with a fantastic yoga instructor, I think about how I’d love to be such a positive influence on someone’s day. But then I start thinking about what I’d gab about for 60 minutes and think I’m much better suited on my mat. I’m looking forward to hearing about your transition from the mat to the “stage”! You should do yoga videos and post them on your blog. People like me who are too scared to go to yoga classes but really want to do yoga but would really enjoy something like this !!!!!!!!! !1 🙂 you should totally do it !! The teacher training sounds amazing… I really hope you do eventually put a yoga podcast on this blog, I’d love that! 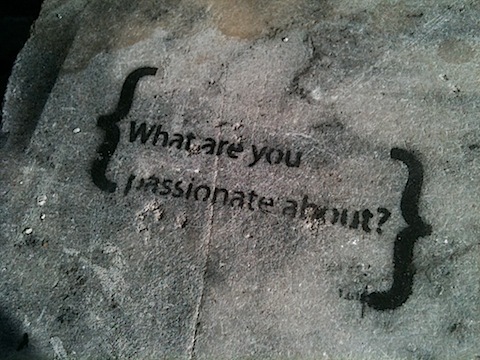 I love your blog posts: the recipes and occasional life stories both. Yoga teacher training seems tough… I was at class last night learning how to do handstands properly. I’ve always been able to do them by just popping my legs up and bam, I’m upside down. Little did I know that I have to use core strength and do it slowly and surely. Crow poses frustrate me, im scared to death of them. My teacher says to take it easy and give my body time to build up, but I’m not sure if I will ever get there. Did you have any similar frustrations in the past? My grandmothers birthday is coming up and I have been looking for a simple yet elegant birthday cake recipe. This cake looks amazing – thank you for sharing! Congratulations on the yoga training! Sounds as though you have found a true calling! I can’t wait to see your podcasts. That stuffed squash really does look incredible. I’m orthodox and in preparation for Easter we do a 40 day fast (no meat, no dairy) so recipes like that are going to come in very handy for me! So glad to hear yoga teacher training is going well – I hear you about it being outside your comfort zone, I think I’d feel the same way. But it’s so awesome that you’re doing it and very inspiring!! I would LOVE for you to do podcasts on here! I may have missed this, but are you specializing in a particular type of yoga? I am! Power Vinyasa Yoga. It’s awesome! That pizza looks incredible! I’ve never tried a BBQ chicken pizza, but I keep on seeing them all over the place and I always want to try one! LOVE LOVE LOVE – your shoes…. Where did you get them? The stuffed squash and the pizza both look fabulous…but cake will always steal my heart. Congrats on making so much headway on your 200 hours. That’s awesome. Can’t wait to hear more about your experiences and how the community-based teaching goes (very cool they put a big emphasis on giving back and service-oriented things). Finding your voice, literally and figuratively, when teaching is an art and takes time but sounds like you’re doing wonderfully! And I wish that Tom’s fit me. I ordered two pairs but had to send them back because I’m in between sizes. Sniff. Yum! Great ideas, all of them! Wow, there is a lot going on with you! Glad you are loving the yoga teaching program. This cakes is ridiculolusly cute. 🙂 Breakfast please? So funny, I have almost the exact same acorn squash recipe. I am flattered to think that you and I had the same idea with making such a great meal using the beautiful acorn squash that it is! So filling too. Have a great day and very cute shoes. You are a REALLY good friend- that cake looks amazing! Almost too pretty to eat! I commend you on the yoga teacher training- it’s no joke! I thought about doing it for about 2 days, and then decided that it’s something that might need to wait a while. I really admire you for taking it on! That pizza looks so good! I have a similar recipe that I love, but I’ll have to try yours to compare. Great to hear about your yoga training. I’ll be doing my 200 training this summer…it’s 15 days straight, but so looking forward to it. 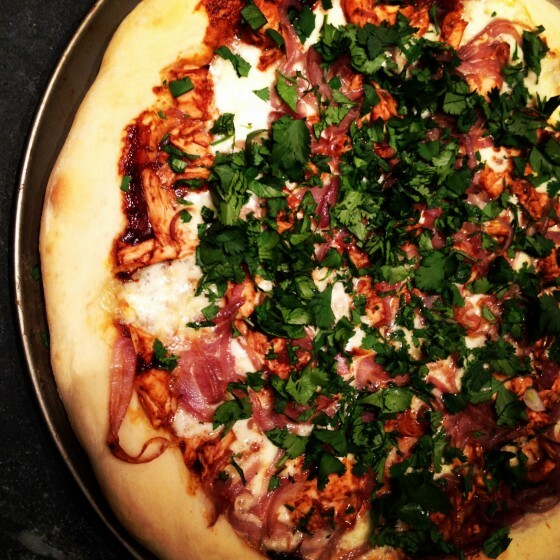 On another note, that pizza looks super scrumptious – a dough that doesn’t require kneeding?! LOVE the sounds of that. I’m putting it on my ‘must try’ list! Have a wonderful Saturday Jenna! Which studio will you be teaching the community classes in? I would love to take a class. Aw, thank you! I don’t have a studio planned right now but I’ll update you when I do. We usually do our community service teaching at places like The Boys and Girls Club, high schools, hospitals, rehab centers…places like that. In the future, I’m sure I’ll be in more of a studio setting. That is such a beautiful cake!! Have you ever taken cake decorating classes, or did you learn this stuff from culinary school? I took a few cake decorating classes in culinary school—it was part of my baking and pastry degree! I’m still waaaay more of a bread baker than I am a decorator though…I don’t have enough patience for fancy cakes! Oh that cake is to die for! Everything in this post looks delicious. And I love your shoes!! I love it!! I am currently doing my 200 hr yoga training too!! And I LOVE that you said its totally cosuming your life 😀 dont worry! Im in the same boat!! loved this post! thanks for updating us on your life. can’t wait to hear more! Did I miss it, cant seem to find the cake recipe, just the icing, even went to the Gourmet website!!! 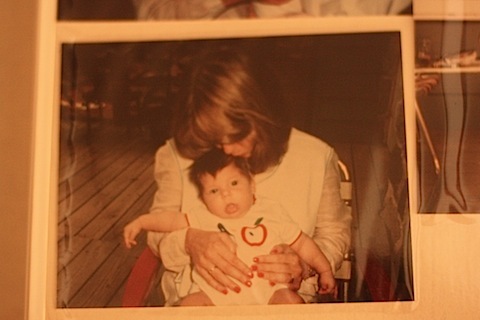 BTW my daughter and I love your blog and prepare many of your recipes, sharing with friends!!! The recipe for the cake is actually in the Gourmet cookbook, not online. I’m sorry! I’m sure they have something comparable online though—it’s just a simple yellow cake! can i just say that i am SO excited about the prospect of you having yoga podcasts on this blog!!! I would love to see yoga video posts on your blog! That would be great! I will take one of each. Beautiful cake. So fun and colorful. Somehow you dropped off my Reader feed … glad I found you again! Love that you’re doing yoga training, how exciting! I would also know when and where you’ll start teaching classes, keep us posted! 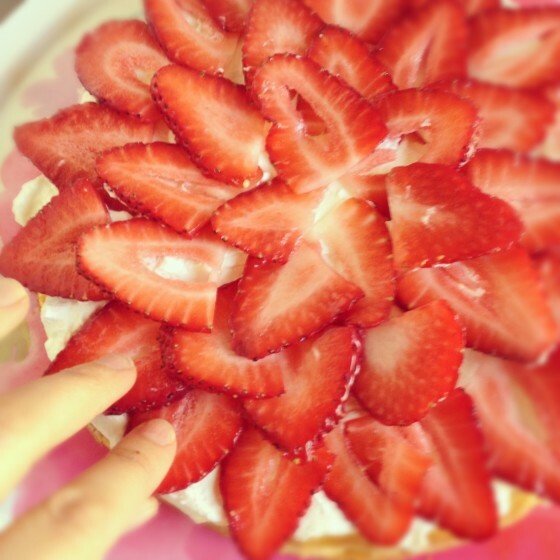 I want to make that cake nowwww – it looks so yummy and spring-y. Also, teacher training is such an amazing experience – definitely very consuming, very heavy on the self-exploration and development, but ultimately very rewarding. Reading about your training me nostalgic for my teacher training experience! The stuffed squash looks great. I am always looking for new veggies to try and that looks great. I’m excited for you in your yoga training. 6 days a week sounds wonderful! It’d be really great if you did power yoga podcasts on here. 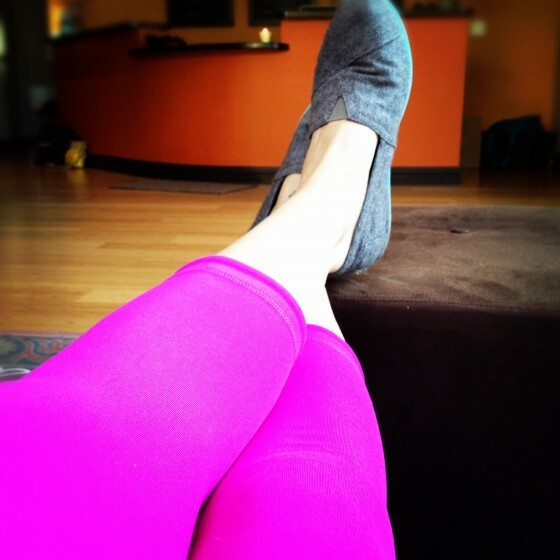 I love doing yoga via podcasts – no leaving the house, just unroll the mat & go! LOVE the idea of a podcast!!! Thank you for sharing a bit of your experience with teacher training. I’m interested in doing teacher training myself in the fall. mmm everything looks beautiful and delicious. glad that your teacher training is going well!